Finding real performance shoes within Skecher’s huge catalog is like finding diamonds in the rough. Skechers will sell nearly around $ 5 billion worth of footwear in 2019. A vast majority of that will come from the reasonably priced $40 – $80 price segment. Skechers is a family footwear company first and running shoe brand second. Walk into any large Skechers store in a mall, and you’ll see families and teens shopping there. Chances are, you won’t even see their serious GoRun running models on the shelves. Selling comfortable, lightweight, and fashionable footwear at affordable prices is their strategy. If their sales growth is any indication, this business model is working extremely well. Skechers makes some really nice running shoes but it’s just good PR for them and nothing more. Case in point – this guide features just four shoes. The combined annual sales from these models would be the equivalent of a rounding error in Skechers’s overall revenue. 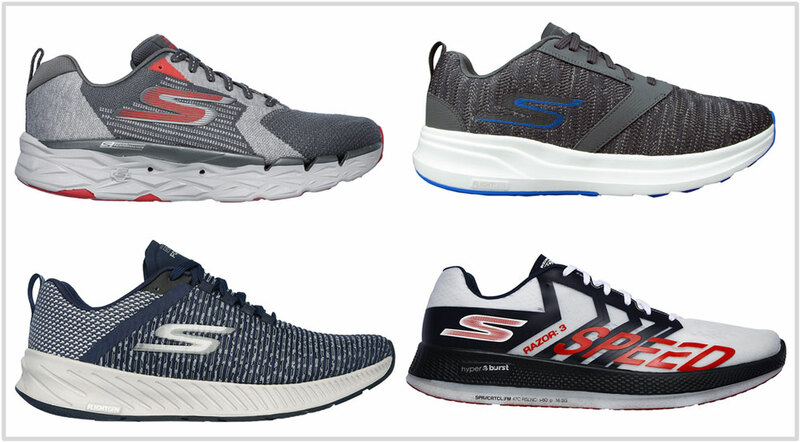 As far as their performance running line is concerned, Skechers has done an excellent job with annual product updates and at maintaining consistency. 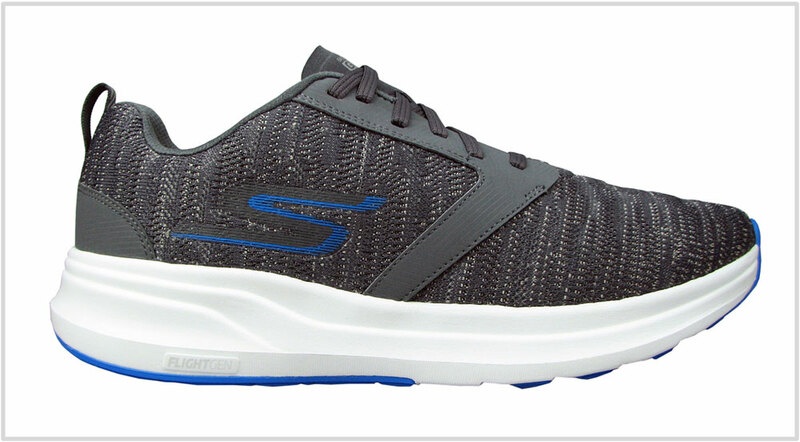 Our first Skechers review was that of the GoRun Ride 3. Subsequent versions and product extensions have retained the (desirable) characteristics which drew runners to the brand in the first place. The foam materials have improved over the years and so have the uppers. 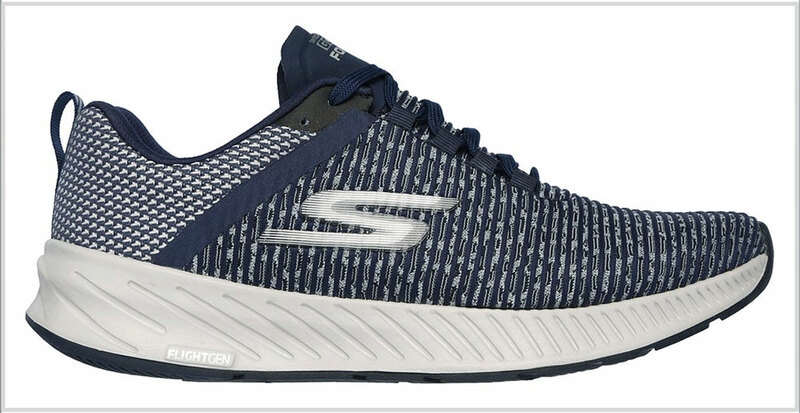 Skechers has maintained the weight and price range too. Their shoe weights have consistently hovered in the respectable 8-9 ounces range. Pricing has always been affordable – even cushioned trainers such as the excellent Ride 7 costs $90. We’re not privy to Skecher’s future line-up. That being said, it appears that the line is the process of receiving a major upgrade soon – thanks to the new midsole foam material seen on the Razor 3. If that’s the case, expect a higher shoe count when this guide is updated next. We reviewed this shoe nearly a year ago and appreciated how resilient and dense the new foam felt. The new midsole adds value to the GoRun Ride’s already versatile nature – there’s enough cushioning to last a marathon distance. If you don’t want to run long distances, no problem at all – the Skechers GRR 7 is a comfortable daily trainer with absolutely zero mushiness. The upper fit is spacious but fits long and shallow. This unusual fit isn’t something new for Skechers; the dual-insole set which allows the optional use of the sockliner causes it. If the GoRun Ride 7’s cushioning does not feel soft and deep enough for your runs, then the MaxRoad 3 Ultra is your shoe. A super hefty piece of foam makes up the midsole and delivers a ride without the sink-in softness. This shoe is comfortable enough for runs of any distance. The upper also helps make the MaxRoad 3 a true ultra shoe. The spacious upper allows the foot to splay while providing all-around comfort. This is the only road shoe we know of that features upper and midsole vents for air circulation and water drainage. The GoRun Razor 3 Hyper isn’t a road-racer in the traditional sense. It’s got plenty of midsole underneath the snug fitting upper; Skechers uses a new foam which they call HyperBurst. So the Razor 3 is a racer with plenty of underfoot comfort which doesn’t punish your feet like a regular flat. The Hyper Burst is a definite step up. It makes the shoe super responsive and lightweight – the Razor 3 weighs a mere 6.4 ounces. We think we’ve seen a foam material similar to the Hyper Burst nearly 12 years ago – this is something we’ll discuss during our Razor 3 review. 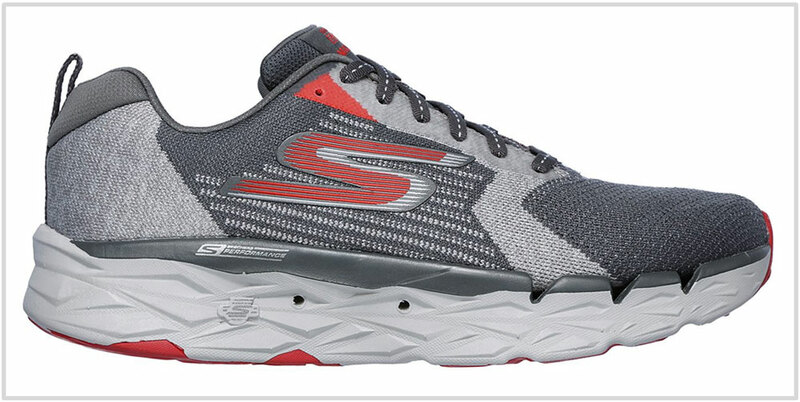 Skechers does most things differently than other brands, and its stability shoe is no exception. Even the last Forza did not use a conventional medial-post, and neither does the Forza 3. The midsole co-molds three different foam densities to create a firm and supportive midsole. The upper gets the stability treatment too. The forefoot mesh has a conforming fit with the inner midfoot featuring a supportive mesh panel. The Forza 3 is worth a try if you want a supportive daily trainer without the medial-post paraphernalia.